The Trump News Channel continues to do an excellent job at what it was designed to do. Almost 40% of citizens in our country listen to, watch and actually believe everything they see and hear from this propaganda machine. It is sad. It is frightening. And it is far to dangerous to ignore. 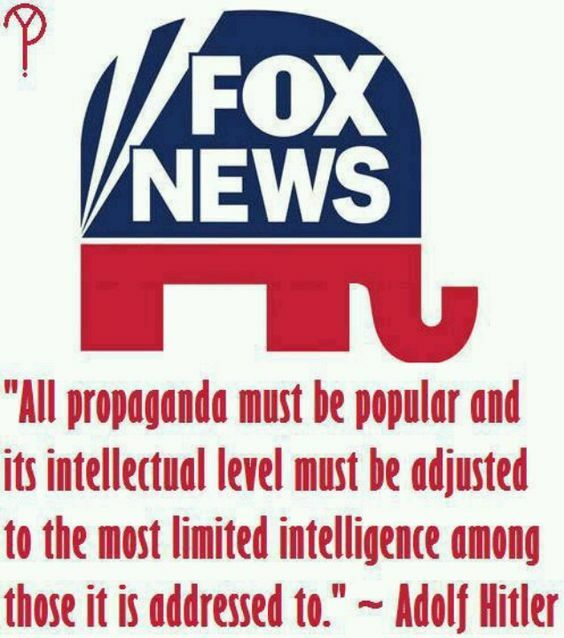 This entry was posted in News & Views, Quotes and tagged Adolf Hitler, believe, citizens, daily briefings, dangerous, fake news, Fox News, frightening, ignore, intellectual level, limited intelligence, machine, propaganda, sad, sway, Trump News on April 28, 2018 by Ray Buchanan.